Quality over quantity! Bellwoods Gate Photography is not a studio that has a sales team overbooking every possible minute to increase sales. What does that mean for you? It means as you go through this journey, I will be there every step of the way. From our initial meeting until your photos are ready, I will be there to answer any questions and help in anyway I can. By limiting the number of weddings that I book each year, I am able to dedicate more time to each wedding from the planning stage to editing. STYLE: My shooting style definitely favours the organic moments. Photo-journalistic by nature with an eye out for every detail in the image. but between those shots is when the real magic happens. 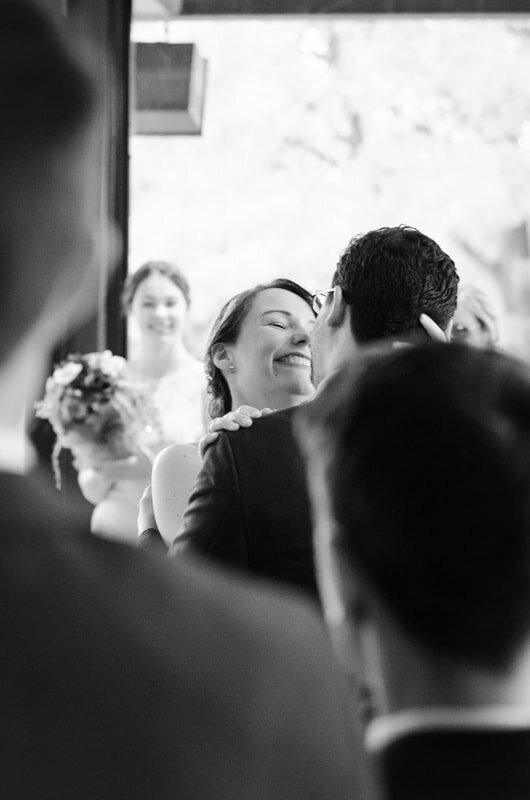 It might be a smile you give each other before you walk down the aisle for the first time as a married couple, a kiss during a quite moment alone or a hug given to an old friend. Moments that aren't forced. Moments that are real! When captured, these moments are what memories look like in print. We couldn't have asked for a better photographer to capture our wedding day! Bellwoods Gate Photography was amazing to work with. We love how he captured so many natural/candid moments, and truly captured the essence of the day." 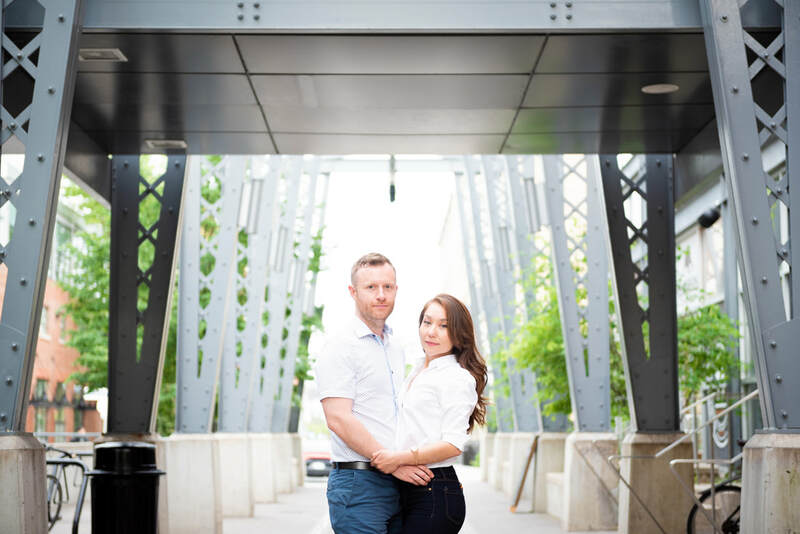 "Bellwoods Gate Photography did my engagement photos and wedding photos and both turned out fantastic! You can truly tell that he has a passion for taking photos and will take all the time needed to ensure the best shots are captured. Entrusting someone to capture one of your biggest life events can be daunting, but I am 100% satisfied that we hired him for this task. He was such a pleasure to work with and he produces stunning images! Even working with my husband and I, who had no idea what to do with a professional photographer, He was patient and helped us with poses/ideas and the photos ended up looking like they were from a bridal magazine. We also received our photos much quicker than estimated, which was a pleasant surprise! I would highly recommend using Bellwoods Gate Photography for your special day! 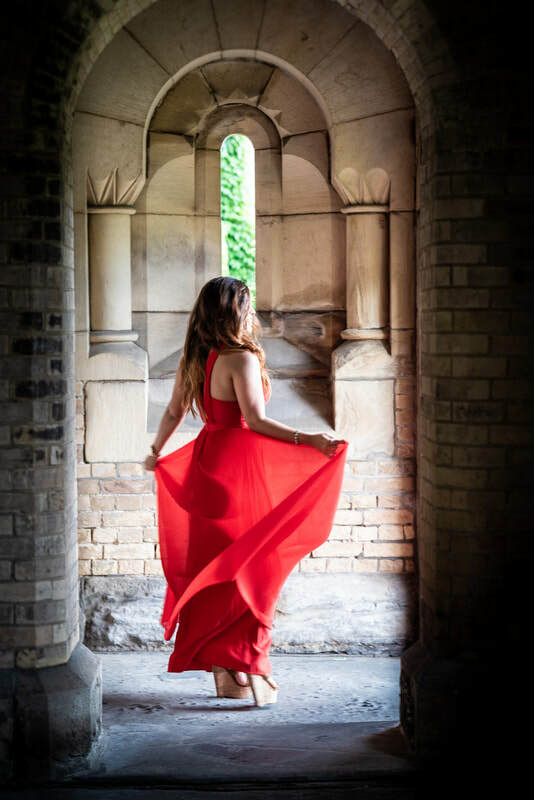 :)"
"If I ever got married again (hopefully not) I would choose Bellwoods Gate Photography. They managed to get intimate and exciting photos while staying out of the way and being as unnoticeable as possible. They made us feel comfortable and let us enjoy the day without worrying about faking it for the camera. The final product was professional and the quality was top-notch." Visit the Wedding Gallery for more photos! Bellwoods Photography services and trinitiy bellwoods wedding photography provided by toronto wedding photographer bellwoods gate photography. Bellwoods Gate Photography is a creative and unique Toronto wedding photographer focused on providing each and every wedding with one of a kind wedding photography in Toronto and the greater toronto area. Some of the words used by previous clients to describe Bellwoods Gate Photography's style are creative, stylish, unique, edgy, journalistic, clean, dramatic wedding photography. Bellwoods Gate Photography currently offers toronto wedding photography, Mississauga wedding photography, etobicoke wedding photography, scarborough wedding photography, markham wedding photography, newmarket wedding photography, hamilton wedding photography, richmond hill wedding photography, vaughan wedding photography, woodbridge wedding photography as well as surrounding areas. To learn more about toronto wedding photography go to our contact page and get in touch for more details. Get in touch through the contact form or using the info below. Copyright © 2018 Bellwoods Gate Photography. All Rights Reserved.